When Afghanistan veteran Robert Bowyer called the VA to ask about Vietnam Veteran suicide numbers, he was shocked to discover that Veterans Affairs didn’t have any information. At the time, Sgt. Bowyer was pursuing a degree in history and this research was part of his senior thesis. The reason for no information? They told him that the government didn’t keep records of veteran suicides until the mid-eighties. For the Vietnam generation, this was just another hit below the belt for a group of (mostly) men, that has been marginalized for the past 44 years. Sgt. 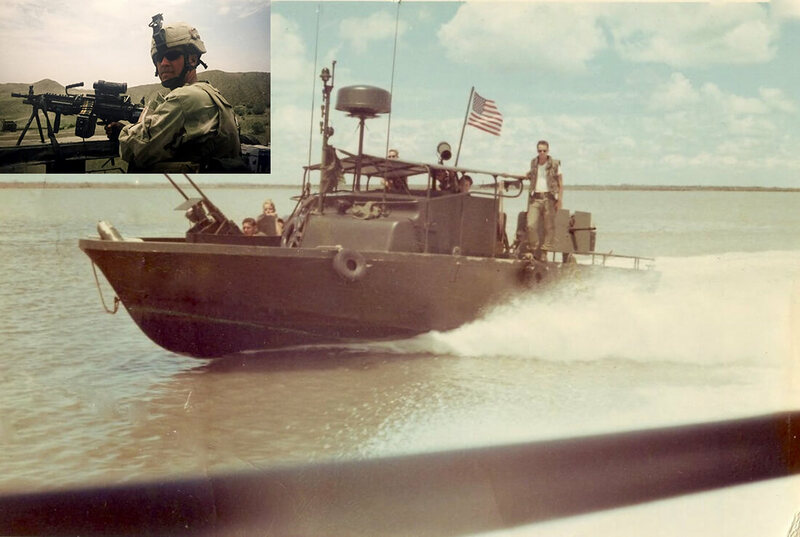 Robert Bowyer is now the CEO and Founder of Operation Black Sheep: The John McClurg Foundation for Vietnam Veterans, a non-profit organization centered around a Mark II Patrol Boat River (PBR) that will soon be in operational condition and the most historically accurate PBR in the United States. According to Robert, an Operation Enduring Freedom veteran and infantryman with two tours to Afghanistan with the 173rd Airborne Brigade, the treatment of the Vietnam Veterans is simultaneously disheartening and infuriating. After all, these men and women answered the call regardless of the politics behind it. It was at this point that Robert decided that he wanted to do more for them. His answer? Find a symbol; a project for the Vietnam-Era veterans to rally around. When Robert made the decision to get his hands on a Vietnam-Era PBR, he began making phone calls. According to Robert, “Some people laughed at me. Others wanted to sell me their boat for $100,000 or $150,000.” It was only through sheer force of will and some key mentors that he was able to secure a Mark II PBR. “There are 33 PBR boats in the US, and out of that, only 4 see water. Those 4 PBRs are privately owned,” states Robert. When he originally pulled into town towing the PBR, he was approached by a dozen Vietnam-Era veterans who were nervous and concerned that he wouldn’t restore and maintain the boat correctly. Those fears quickly evaporated when they saw his passion and authenticity behind the project. In addition, a number of Vietnam Veterans have volunteered their time and money to help in the restoration process. Due to some recent, extremely positive press, Operation Black Sheep is now getting help from some corporate sponsors. One company that wants to remain anonymous due to a current connection with the Department of Defense, is rebuilding the engines. “The goal,” Robert says, “is to have this boat in the water this year.” And it is growing more likely that they will reach this goal due to all of the interest from the community. Interestingly, there is another PBR in this small community of Muskegon, Michigan. Robert notified a local business owner and Vietnam Veteran Mark Fazakerley of the existence of another PBR, which Mr. Fazakerley quickly bought. He is restoring his as well which will make Muskegon, Michigan the only town in the United States with two fully operational, fully restored Vietnam PBRs. In addition, the town of Muskegon, located along the shores of Lake Michigan, is home to the USS Silversides SS-236, a Gato-Class submarine from WWII and the LST 393, a landing ship with an incredible wartime record. Together this, with the manufacturing role of Muskegon as an Arsenal of Democracy during the 20th century, makes Muskegon a destination for aficionados of military history.